This was a recent OwlCrate book, but I put off reading it because the inside jacket description made it sound very summer-before/after-senior-year-coming-of-age, and since The Love That Split The World was very, very much that, I needed a break. 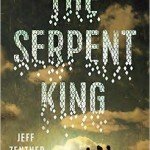 When I did pick it up this week, I was happy to find that The Serpent King is…kind of that…but completely different. The book takes places over the senior year of Dill, Travis, and Lydia, and these are full, complex characters. This is a debut novel, and at times it shows: the writing at times is a little repetitive, and the subtext is explicit at times when it’d be far more powerful unsaid. The story is so engaging and the characters feel so real, though, that none of that was enough to pull me out. The book is about the three of them, but it’s really Dill’s story, as he struggles with the certainty of Lydia leaving their small Tennessee town for potentially NYU. Dill and Travis have very different family situations from Lydia. Dill’s father, a snake-handling preacher, is in prison, and his mother is struggling to pay his legal fees. Travis is a full-on epic fantasy nerd whose father has alcohol and anger issues, and whose football star of an older brother died in the military. Both Travis and Dill work to help their families make ends meet, and neither see themselves living any differently as adults from how their parents live now. Everything about Lydia’s life, though, is in stark contrast to theirs. She lives in a four-bedroom house. She runs a very popular fashion blog, which involves her buying a lot of clothes. Her parents are highly educated and have an easy rapport with Lydia. College, for Lydia, is a given. The difference isn’t just wealth–although it’s that, too. It’s the way their parents view them and support them; it’s the attitude towards possibility. Dill’s mother is stuck in the present, viewing everything about their lives as Jesus’ will. When Dill floats the idea of college, his mother is horrified; Dill going to college is Dill abandoning both her and their faith. Travis’ father hates that Travis is nothing like his football hero older brother, Matthew, and makes that clear at every opportunity. Lydia’s parents are focused on her future; Dill’s parents trap him in the status quo; Travis’ father hounds him with his brother’s past. 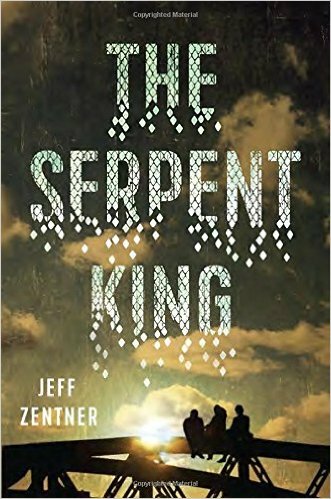 Like The Love That Split The World , a character’s impending departure for college, leaving her small town and classmates behind, is a big part of The Serpent King. However, the fact that Lydia is going to NYU, and not an Ivy League school, makes the contrast between her and her friends–and the world she lives in–much starker. Dill isn’t freaking out because he thinks Lydia now thinks she’s better than he and Travis because she’s going to a fancy school. He’s freaking out because he was always worried he and Travis embarrassed Lydia, with her fashion blogger friends and internet fame, and now that the countdown to her leaving is on, his fears are slowly being realized. The sheer fact that Lydia has options is what threatens Dill; the fact that Lydia has options and Dill never felt the did is where his jealousy comes from. How Dill handles his insecurity–and Lydia responds to it–is a critical part of the story. It’s unexpected, and it’s easy to empathize with both Dill and Lydia. I really thought it was valuable to show how Travis is content living in Forrestville, even though he’s very different from many of the people there. Like Lydia, he has his internet friends, but unlike Lydia, the fantasy series he’s passionate about really is enough for him. The conflict in the book is far, far more than whether college is bad or good, and it’s not a treatise on the evils of small-town America. The best part of the book for me is the fact that there are exactly two small references to Lydia being overweight. It’s not a defining part of her character at all, and she’s totally unlike a lot of overweight female characters in YA and middle grade books. She’s not a sad, pitiful monster who doesn’t know how to bathe, dress, or not carry cake around with her at all times. She’s a normal, ambitious teenager who runs an incredibly successful fashion blog. And it’s actually an incredibly successful fashion blog, full stop: not a plus-size blog, and there are not qualifiers about her success or her internet fame. To see an overweight teenage girl excel in an area that actively shuts fat women down and excludes them is incredible. To make things even better, Lydia later has a healthy romantic relationship, and there’s acknowledgment that she’d have plenty of romantic options at NYU. I wish her weight were slightly more explicit, to make it impossible for readers to overlook or ignore, but I do love that her weight is not who she is. The book goes to a lot of very dark places, and I became so attached to the characters I teared up in the middle of the book, but it’s ultimately very uplifting. Lydia, Travis, and Dill are fantastic character studies, and there is a lot of nuance in the book’s handling of religion, small towns, tension between teenagers and their parents, mortality, and college. Overall, the book is about autonomy and choice, particularly in regards to place and circumstance. Are you defined by the circumstances you were born in? What are the costs of trying to determine the course of your own life yourself, and what are you willing to pay those costs? How to you balance your personal success with remaining friends with the people you leave behind–and do you have to leave them behind? There’s no AR quiz for this book–it’s too new–but I sadly wouldn’t give this to anyone below 8th grade, due to the language and content. But this is an amazing book for high schoolers, especially since a lot of the characters’ issues are ones that high schoolers can more easily relate to. I’m excited to read what the author does next.